Breanna Colón is a Personal Finance Coach, Speaker and Author of the book titled “The Secrets of Saving Money: Experiencing The Unlimited”. 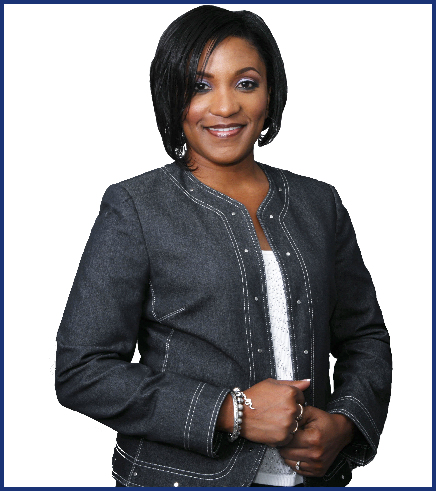 She is also the CEO/President of Integrity Financial Solutions, Inc. She brings over 20 years of experience in accounting and finance to IFSI and hasworked as a financial and mortgage consultant for 13 years. Over the years, she has acquired an in depth knowledge of retirement, college, insurance, investment, mortgage, and budget solutions. Her mission is to empower others to get to the next level financially. She is very passionate about finance and loves to make learning fun. Her achievements include a Bachelor of Science Degree in Mgmt. /Accounting along with opportunities to provide financial direction for several major corporations and non-profit organizations. She previously served as leader of the financial stewardship ministry for Church of the Great Commission in Camp Springs, MD. She also served as a member of the financial review team for South Potomac Church in White Plains, MD. Of utmost importance to her is superior customer service. It is her goal to accurately assess and analyze the needs of her clients. Through her keynote speeches, workshops, financial seminars and videos, she aims to motivate, incite enthusiasm, and inspire people to become better managers of the money God has blessed them with. She continues to enjoy teaching and encouraging people in various parts of the United States and abroad. Outside of her business life, she is a wife and a mother of 3 busy young men. It is a soccer life in the Colón house, and she is excited to be her boys' biggest cheer leader. When she’s not running to games, orchestra/band concerts or running her business, she is singing for events, or acting on stage. With God and a supportive husband, it is ALL working together for her good! She is always grateful for the opportunity to serve!